The spies are being spied on in Tom Clancy's Threat Vector, the latest gripping addition to the Jack Ryan Jr series. When Jack Ryan Jr, on a highly secret, off-the-books Campus mission in Turkey, discovers that his team's every move is monitored, he knows that US intelligence has been fatally compromised. Back in the States, President Ryan watches in horror as China's weakened leader bends to a war-mongering general intent on turning the East into a bloodbath. At the same time, America comes under cyber attack from China, crippling government and military infrastructure. President Ryan needs to act: a covert team must go in and neutralise these threats, and the Campus is the perfect fit. Except a sinister figure known only as the Center is watching the Campus and Jack Ryan Jr's every move. Any misstep will be their last . 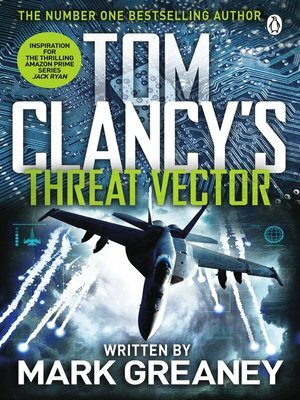 . .
Jack Ryan is back and he's got everything to play for in Tom Clancy's masterful Threat Vector. The Jack Ryan Jr series also includes The Teeth of the Tiger, Dead or Alive and Locked On.